Internal cleanser and detoxifier, revitaliser for men and women. By buying this product you can collect up to 68 loyalty points. Your cart will total 68 points that can be converted into a voucher of Rs. 6.80. Certainly, detoxification of our body is needed now more than ever especially what with increased level of stress, improper and imbalanced diet, unhealthy food consumption and improper sleep. Over a period of time, all the aforementioned issues accumulate toxins in our various organs and affect our overall body resistance. 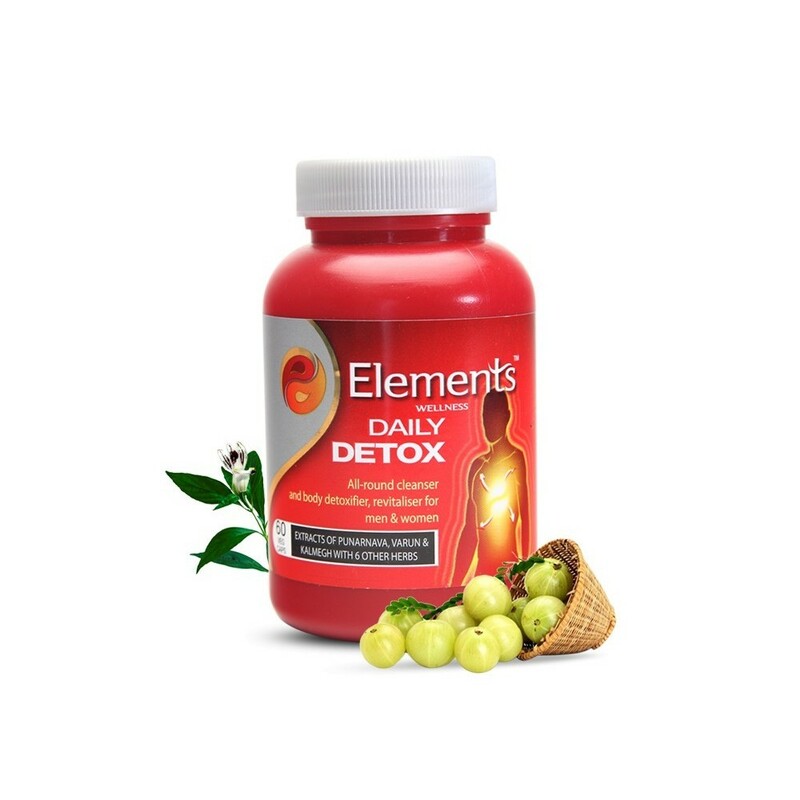 To deal with this, Daily Detox from Elements helps in improving body metabolism reduces and eliminates toxins and helps building body resistance. 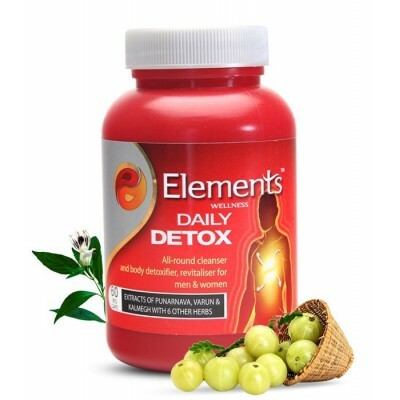 Daily Detox as well takes care of the performance of digestive system and helps maintaining our health. With Elements Daily Detox, we can as well detoxify our body on a daily basis. Who can use Daily Detox? Anyone who is past 35 years of age. Promotes excretion of toxins from body in safe, yet powerful manner. Works on endocrine glands and builds immunity. Modulates kidney function (prevent sodium accumulation that causes swelling and oedema in legs). Helps neutralise effects of habits like tobacco consumption.